The residents of the Russian town of Belushya Guba have been left terrorised after 52 polar bears are known to have entered the area. Authorities declared a state of emergency in the town, which is located on the Novaya Zemlya archipelago in the Arctic Ocean. It is about 1,200 miles northeast of Moscow. The animals have reportedly been spotted in the town since December 2018 and over the last few weeks, the bears are said to have ransacked garbage dumps, entered residential buildings and offices and attacked locals. Officials have said that about six to ten bears are always seen roaming around in the territory. The decision to declare an emergency situation on the territory of Novaya Zemlya from February 9 was taken at a meeting of the commission tasked to prevent emergencies and ensure fire safety," the TASS news agency quoted a statement by the Archangelsk governor and regional government as saying. Such has been the invasion that people living in the town are said to be scared of leaving their homes. Parents haven't been able to send their children to school and several schools too have complained about the threat — orally and in written. "The people are scared. They are frightened to leave homes and their daily routines are broken. Parents are afraid to let the children go to school or kindergarten," the statement added. Authorities have tried numerous ways to try and scare the polar bears away, but none of these measures have reportedly worked until now. Patrol cars, dogs and other measures are said to have had no effects on the animals. Kindergartens have now installed additional fences around the buildings and employees of various offices and military personnel are now ferried to their workplaces and brought back home on specially arranged vehicles. I have been in Novaya Zemlya since 1983, but there has never been so many polar bears in the vicinity. 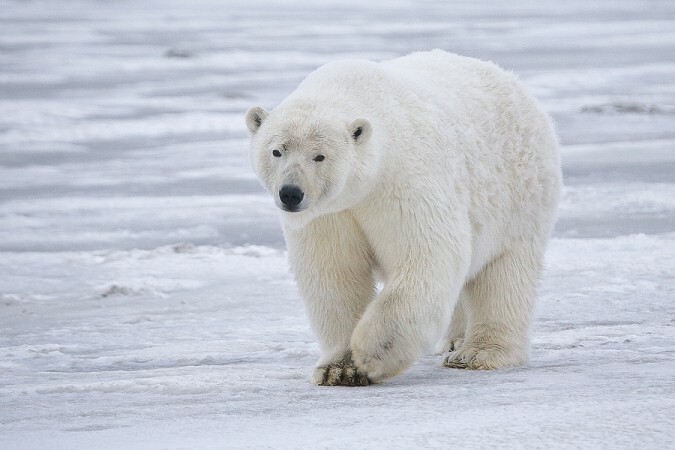 I recall that over five polar bears are in the [military] garrison chasing people and entering residential buildings. However, if a cull is banned, we will have to embark on a longer and less safe way for local residents," Musin said. Considering none of the measure have worked, authorities had sought the permission to cull the polar bears, but the Russian environmental watchdog refused to give permission for the same. Instead, a special team of experts will now be sent to Belushya Guba, who will assess the issue and try and prevent these attacks on locals. Polar bears are recognised as endangered species and hunting them is also considered illegal. It is believed that the animals often enter settlements as they are affected by global warming. Scientists have warmed that melting sea ice are a threat to polar bears, who then move to land to look for food.